Aimee Stapleford is a talented illustrator based in Newquay, Cornwall whose work is inspired by nature and good energy. 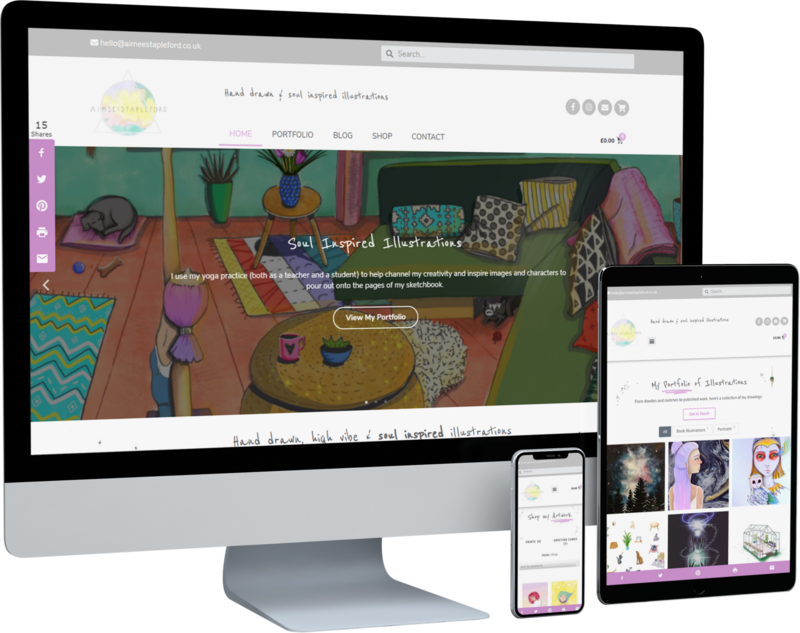 We met with Aimee to discuss a brand new website to showcase her work, and quickly got to work creating a whimsical, friendly site which captures the style of Aimee’s illustrations. The Aimee Stapleford website is 100% bespoke and includes a portfolio, online shop and blog, all of which can be edited with ease. I love my new website, I feel like you really captured the feel of my illustrations and I adore having an online shop! I cannot wait to upload more prints! Thank you so much again!